These General Terms and Conditions of the company Adittec, kadrovske rešitve, d. o. o. (hereinafter referred to as: General Terms and Conditions) define the rights and obligations regarding the use of the adittec.si website. In general, you may use our websites without disclosing your identity. However, the use of certain parts of the websites requires you to sign in. The user can sign in at the adittec.si website if they accept the terms and conditions. If they do not wish to do that, they should leave the website. For job seekers, the services at the website are free of charge. The terms and conditions of the website are valid until their cancellation or until the issuing of new terms and conditions. The user agrees to the new terms and conditions upon their first use of the adittec.si website. If you have any questions regarding the terms and conditions or the protection of your privacy, or you require additional information, you can contact us at the following e-mail: info@adittec.si. The Adittec, kadrovske rešitve, d. o. o. company (hereinafter referred to as: Adittec) reserves the right to change this website at any time without prior notice. Information on this website is occasionally updated. However, Adittec does not give any assurances or guarantees for the quality, accuracy, efficiency, completeness, functionality, or adequacy of the website or any part of it for a specific purpose. To the fullest extent permitted by law, Adittec refuses any responsibility for the content on this website and rejects any liability arising from negligence or other issues related to the content or the user’s use or inability of use of the website. If you are dissatisfied with any part of this website, your only legal remedy is to stop using the website. In addition, Adittec does not give any assurance that the website or any information published on the website does not contain viruses or other infecting or damaging features, and in relation to this, rejects any responsibility. Adittec will always strive for accuracy, correctness, updatedness, and the usefulness of the portal’s content. However, it does not take any responsibility for the mentioned or for the potential harmful consequences that may arise from the use of the portal’s content. In addition to the already-mentioned, Adittec is not responsible for any failures or loss of data arising from incorrect use, the inadequacy of the software or hardware equipment, or lack of knowledge of the user or employer, potential damage to software or hardware equipment, malfunctioning or non-functioning of the portal due to the failure of the internet connection, potential damage to the user arising from the inability to use the portal, trust the portal service content, loss of data or other causes related to the operation of the portal. It is also not responsible for contents that the users and employers publish on the portal, inaccurate data of job seekers, inaccurate data of employers, ensuring the responsiveness of users or employers, potential late delivery or non-delivery of e-mails or text messages. Please note that certain links on this website lead to sources which are on servers or websites maintained by third parties, over which Adittec has no control. According to this, the company rejects all responsibility for any content located on such servers or for the accuracy or legality of the data contained on other websites. Unless otherwise specified, copyrights and similar rights on this website and the entire content of this website belong to Adittec. Only copying and printing of content extracts for personal use is permitted. No material can be used for commercial or public purposes. Without a written authorization by Adittec, you may not (directly or indirectly, including the use of any program) create a database in an electronic or any other form by transferring and saving some or all the pages on this website. Without a written authorization by Adittec, you may not print, reproduce, forward or save, republish, change on any other website, upload, or distribute in any electronic or non-electronic form, or include in any public or private system for electronic data collection any part of this website. Any requests for authorizations can be submitted at the following e-mail info@adittec.si. You are responsible for any use of this website with your e-mail address and password, whether the website is used with your e-mail address and password by you or someone else. You are responsible for the protection and safe-keeping of your e-mail address and password to prevent its unauthorized use. If you believe that a violation of the protection of your e-mail address or password, such as theft or unauthorized use has occurred, you should immediately report this to Adittec via e-mail at the following address: info@adittec.si. Adittec undertakes that they will keep all usernames as a business secret. They will be handled only by the company’s authorized personnel. By accepting our terms and conditions, you agree that Adittec may collect, process, store, publish, and transfer the data you provide according to the Statement on personal data protection which is an integral part of these terms and conditions. By registering and signing up to the adittec.si website, you allow Adittec to collect your data in the process of employment search and selection in order to transfer them to potential employers and notify you on available job vacancies. You explicitly permit that Adittec may keep your data for an indefinite period of time. You may access your data collection at any time or demand the transcription, correction, or deletion of data. Adittec reserves the right to remove from the website at any time any content deemed to be obscene, defamatory, or insulting, or believed to be in violation of the third party’s rights, e.g. the right to privacy or intellectual rights of third parties. You agree to reimburse Adittec for all the loss or damage and expenses (including legal expenses), which the company may have in potential legal procedures arising from any information that you published on the subject website. You are responsible for the accuracy and completeness of all the information you provide to Adittec, including your CV. By confirming your registration, you guarantee the credibility and accuracy of all your data and information you provide on your education, career path, and other data which the website enables. You also guarantee the credibility and accuracy of the data provided in your enclosed CV. Publication of contacts of a third person without their authorization is not allowed, as is not allowed the publication of fictitious data or assumption of a fake identity. Furthermore, it is prohibited to use the service to propagate any activity or to use it contrary to the portal’s purpose. If Adittec has any reason to believe that any of the information you provided is incorrect, inaccurate, or do not belong to you entirely, it may deny you the authorization to sign up to the website and prohibit you from using this website, whereby the user has no right to demand a refund for the payment. The user of the portal may at any time decide that they wish to be completely erased from the website. For deletion, the user needs to send an e-mail to info@adittec.si and the username, including all the published data. The request will only be considered when sent from the same electronic address that was used upon the registration to the website. The employer assumes the responsibility to comply with the labour legislation (mainly the Employment Relationship Act and Prevention of Undeclared Work and Employment Act), regarding the deadline for the application for the available work position (Article 25 of the Employment Relationship Act), the rights of the non-selected candidate (Article 30 of the Employment Relationship Act), the employee’s personal data protection (Article 48 of the Employment Relationship Act), etc. In addition, the employer undertakes to respect the Personal Data Protection Act, the Slovenian Code of Advertising Practice, and other potentially relevant legislation. The content of the employment advertisements published on the portal by the contracting authority, must be true and correct and it must not be offensive. 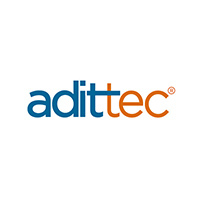 If the employer, during the 90-day warranty period for any reason decides not to keep the new employee or if the new employee leaves the employer during the 90-day warranty period, Adittec will without charging any addition expenses re-open the job offer for the employer until they find a new candidate. For this case, Adittec will not charge the service of opening a new job offer at the website for the contracting authority. Adittec will pay the reward in the form of a coupon within 90 days after the employment contract between the candidate and the contracting authority is concluded. A candidate who is a sole trader, freelancer, and who with the help of the Adittec intervention concluded a deal for a temporary job as an external associate for an Adittec contracting authority. A person who recommended a candidate via the recommendation form on the Adittec website, whereby that candidate found employment based on the referral of Adittec, but was prior to that already registered in the Adittec base with the same or different e-mail. The reward mentioned in each job offer is determined in its gross amount and is subject to taxation pursuant to the Personal Income Tax Act. The person entitled to a reward is liable to pay the tax according to the Tax Act (other revenues, which include rewards). The prepayment of income tax is calculated and withheld by Adittec. Paid rewards do not represent an additional expense for the contracting authority. To collect the reward, the person entitled to the reward must upon request via e-mail provide Adittec with the following personal data: name and surname, the precise address of permanent residence, place of residence, tax number, and tax office. For the purposes of notification on the collection of the reward, the person entitled to the reward needs to provide a contact telephone number as well. If the person entitled to the reward does not submit the necessary data within seven days after receiving the request via e-mail, they lose the right to the reward without the right to any compensation. Users who wish to make recommendations, are not allowed to send unwanted e-mails (spams) containing the link to the Adittec website to strangers and they must not share this link on public channels, such as advertisement pages, or on other websites where that is not allowed. Adittec reserves the right to cancel the link to the Adittec website generated for the purposes of recommendation if they establish at their own discretion that the user who shared the link has in doing so violated these terms and conditions, including any fraudulent or misleading recommendations (e.g. sending to fictitious people, use of fake names, use of multiple identities, e-mail accounts or e-mail addresses, assuming a fake identity, or any other submission of incorrect or misleading information, etc. ), or if Adittec for whatever reason ceases to perform the recommendation programme for users. In case of a dispute related to the use of the adittec.si website in which a mutual agreement is not possible, the competent court of jurisdiction in Ljubljana is responsible for the settlement of disputes.